Cafe Arcuense is a hidden gem. Offering only a small sign on the corner of Walnut and McWhorter, the door is simple and it is impossible to understand what is happening inside. The space ends up being much larger than it appears, a bar and dining room hosting all manner of conversations in Portuguese. Football jerseys and scarves line almost every wall surface, and the beautiful game plays on multiple televisions as well. Since the jukebox has likely come to a screeching halt when you entered, especially if you are a woman, just walk in with confidence and smile at all the people currently watching you. Take a seat, and order a drink. Our Portuguese Super Bock bottles and glasses of house red wine were both $3. The blue collar men's club atmosphere will return to normal and everyone will continue their card games and sports arguments. After a bit of research, it is ascertained that "Arcuense" describes someone from the small municipality of Arcos de Valdevez in the far northwest of Portugal bordering Spain's Galicia region (which also has a considerable number of immigrants in Newark). The sign outside carries the coat of arms of this municipality on one side, the other being almost completely faded by the sun. The original founders of the cafe must have been from this photogenic frontier. Inside, a permanent-looking board displays the foods that seem to be around everyday like sandwiches and steaks, while a whiteboard has the daily specials. These go fast, as three of the six items were erased by the time our meal was over around 18:30 on a Monday evening. 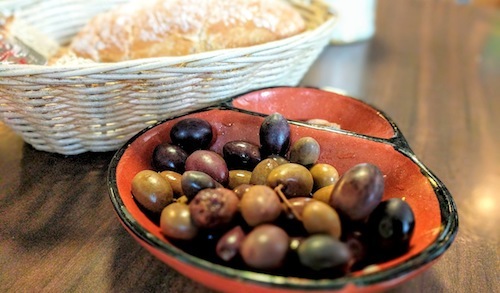 Anytime you start drinking here, a nice plate of olives seems to appear, as well as good bread with food orders. The place runs like clockwork, starting with the two ladies that know how to keep a smile while cutting through the chatter of a rowdy all-male after work crowd. 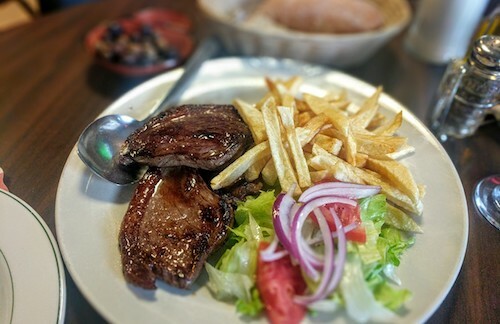 One of the specials on this day was picanha na chapa ($16, below), four sumptuous slices of beef sirloin cap, the most famous cut in Brazilian and Portuguese barbecues, served with fries or rice and a salad. The cut of meat is so delicious that it rarely gets seasoned more than a brush stroke or two. 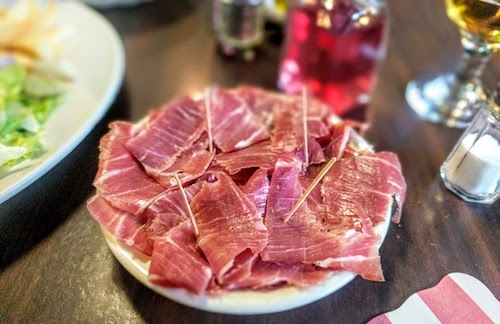 During our meal the table beside us ordered a plate of sliced up Spanish jamón serrano ($9, below). Our jealousy was irrational when we saw the origin of the ham, as behind the counter they have two stations for the manual slicing of cured meats. Seen below, the whole leg is attached to a medieval-looking device ready for slicing. As orders come in, fresh plates are knifed off the leg and served. It may be the greatest bar snack of all time. 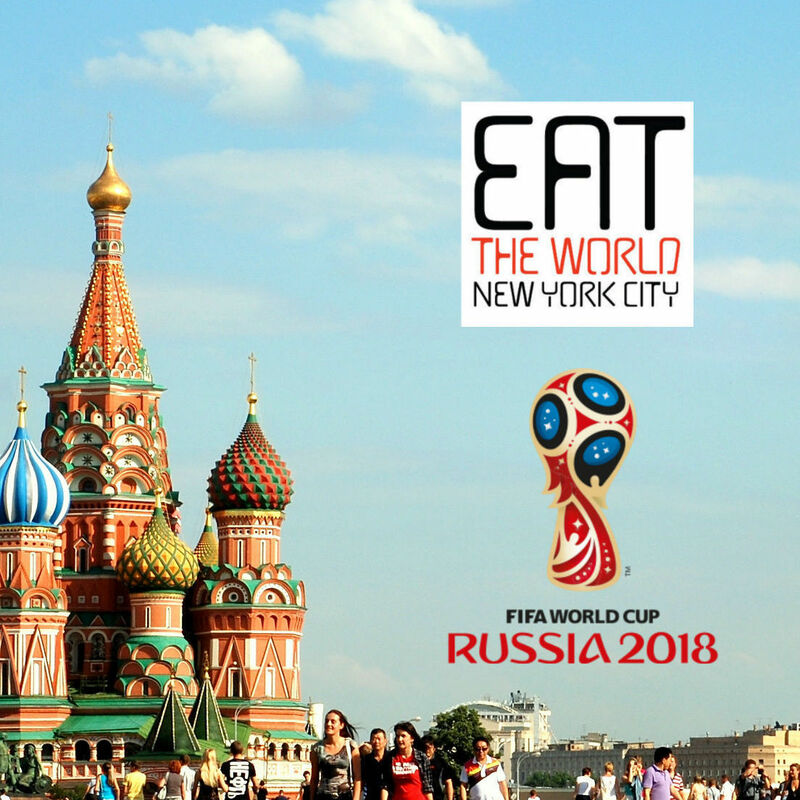 On another day without a Red Bulls match to attend, I could have hung out here for much longer, catching up with friends over cheap drinks and good atmosphere and trying to get hungry enough to eat more.